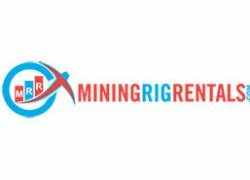 MiningRigRentals is a one-stop solution for renting and leasing mining rigs. Ever since it has entered the market, it has been praised for its ease of renting, efficiency, and the range of algorithms available. If you have not had the chance to use this service before, this MiningRigRentals review will provide you with all the details you need in order to decide whether it meets your mining needs. In order to mine via MiningRigRentals, you first need to sign up. It is completely free of charge and you only pay the rental fee once you rent out a rig. The service offers instant rentals and all you need to do is pick the algorithm of your preference, check the available rigs, and pick the one that works for you. For every rig, you get all the basic information, including hashrate, price per MH per day, minimum and maximum rental hours, and availability. You can also base your choice on the RPI (Rental Performance Index) provided. For an even faster selection process, you can apply filters such as hashrate, type, price, RPI, and region. The algorithms currently available include Sha256, Scrypt, X11, Dagger-Hashimoto(G), Dagger-Hashimoto(S), Equihash/zcash, QuBit, YeScrypt, Blake256-14-Rnd(S), Blake256-8-Rnd, Quark, LBRY, Lyra2RE, NeoScrypt, WhirlpoolX, X15, Groestl, M7M, Myriad-Groestl, Pluck, Scrypt-Jane, N-Scrypt, X13, Nist5, Sha3-Keccak, Blake2S, Iyra2Rev2, Sia, and X17. New algorithms and rigs are constantly introduced. Apart from renting rigs, MiningRigRentals also allows you to mine in its own pool with a user-friendly interface and great support. Currently, the supported algorithms are Sha256, X11, and Scrypt. The service also offers superb options to rig owners looking to increase their profits by allowing others to use their rigs. Learn more about the advantages of leasing rigs with this service in the following section of this MiningRigRentals review. Renting with MiningRigRentals comes with numerous perks. First of all, the process is extremely simplified, as the service allows you to pay with BTC and instantly rent a rig using the funds in your account. You also get a complete insight into real hashrates. MiningRigRentals keeps track of the full hashrate history of all rigs and allows you to view live hashrate graphs for every individual rig while also providing you with an aggregated view for all rented rigs. The performance of every rig is carefully evaluated in order to make sure you always get exactly what you paid for. Not only that, but in case your mining is not as successful as promised, you get a carefully calculated refund, so you receive the precise amount you are owed. What is also great about MiningRigRentals is that you never have to rely on a single pool and miss out on a big opportunity just because the pool you picked is not running as expected. You can set as many as 5 pools. On top of that, the MRR backend proxy system is coded 100% in fast C++, with ultra-fast reaction times to your pool and guaranteed 99.9% uptime, which is always good news. MiningRigRentals is a good choice for rig owners as well. You get to set your price, change your rig’s pool wherever you may be, as long as you have access to the Internet, set up backup pools, and get support from the staff whenever you need it. You also get access to live and historical hashrate graphs and an API for controlling your rig. If you opt to lease rigs via MiningRigRentals, you get a secure location for your profits and you can collect your earnings whenever you want or set an automatic payout amount. We also like how dedicated the service is to providing assistance to its clients. You can always chat with experienced developers by joining #miningrigrentals at irc.freenode.net or you can reach out to them via support ticket. It rarely happens that we have no complaints about a service we review, but MiningRigRentals has truly done nearly everything possible to make renting and leasing rigs simple and efficient and your mining ventures successful. You get instant rentals, 5 backup pools, rental channels for all active algorithms, 99% uptime, accurately calculated refunds, plus great support. As far rig leasing and renting are concerned, it does not get much better than this.